You must make reservations at least 5 minutes in advance of the time at Brick Fire Tavern. Ask us about hosting a celebration, luncheon, or mixer at BFT. We have a variety of food & beverage options, as well as an outdoor urban oasis right here in the historic ROC Center. Let’s make pizza and memories!!! 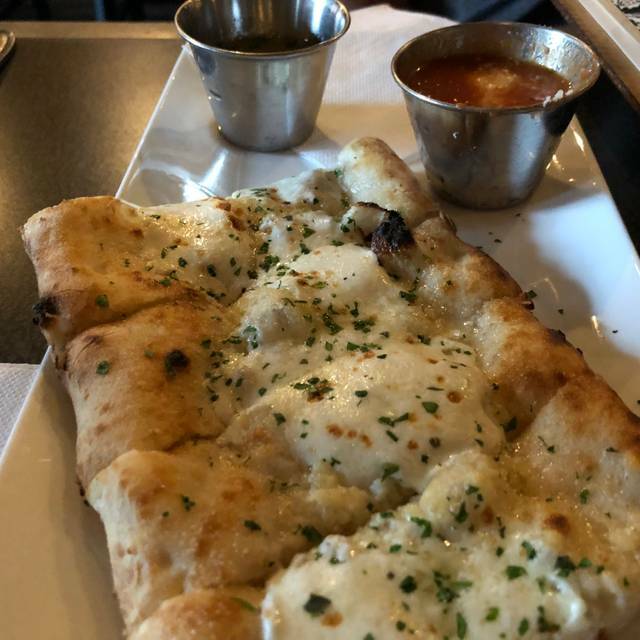 Brick Fire Tavern is a Craft Pizza Restaurant, specializing in creating hand crafted Neapolitan Pizza paired with craft beer, select wines, and other hand crafted dishes. By definition, “craft” in the context of food refers to the expertise in making things by hand, and usually in limited quantities. With this as our core, we are dedicated to the art of creating combinations that work in harmony with each other. 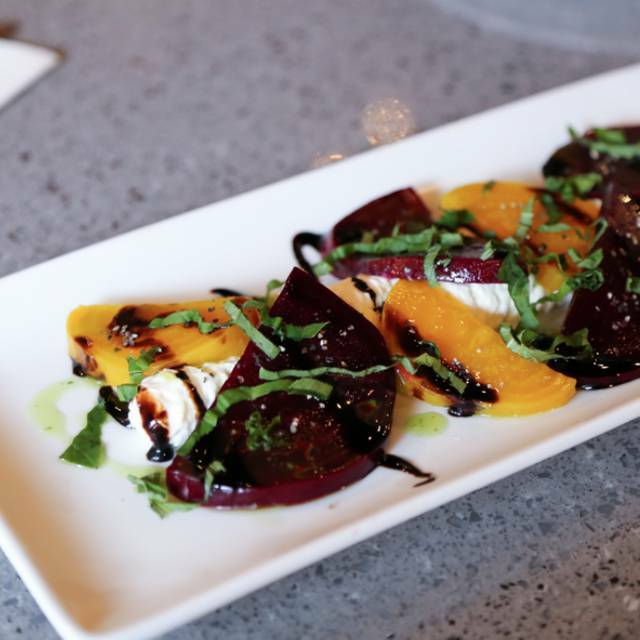 Our ingredients are homemade, and seasonal whenever possible, and our menu items are uniquely balanced and creative. Everything served from the kitchen has at least one element either cooked or finished in our wood fired brick oven. 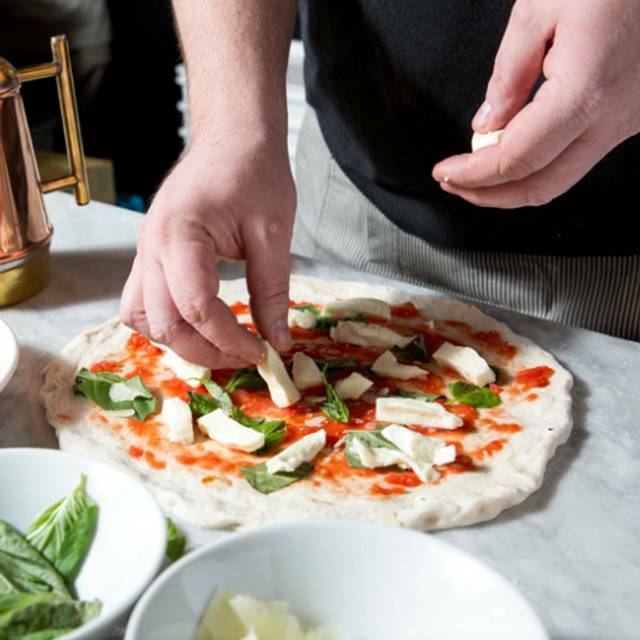 We have traditional pizzas, as well as our creative and unique pizza combinations which are both fun and fancy ways to use local and fresh ingredients. Enjoy $3 Beer, $5 Cocktails, and $6 Wines, and $7 pizzas!!! Every Day from 3-6pm! We had the most fantastic pizza! We ordered a margarita and a funghi. Fabulous! Our server was attentive and friendly, but the bar staff was HORRIBLE! The food was excellent. The only downfall was that there was lipstick on my wine glass and the service was slow. Food is always excellent. 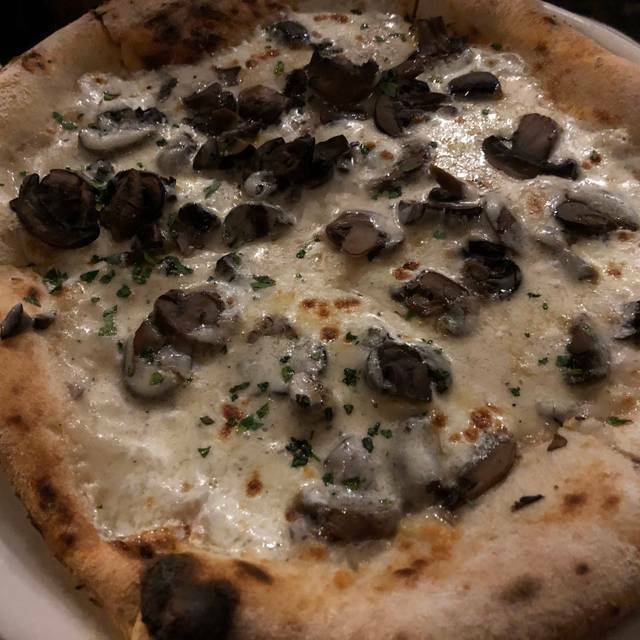 The pizzas are always topped with fresh ingredients and have the best flavors of pizza places in Honolulu. The meatballs are generous in size, seasoned well, and aren't made more dense with "fillers." The fresh mozzarella is a must do! A “must” whenever we are in Oahu! Great food and ambiance! Love the pizza and salads. the wine, unfortunately, was only so-so at best, with poor selection. Some people like wine with their pizza! Some of the best pizza I have found on the island. I have sent at least 8 people to Brick Fire Tavern for pizza over the past 3 months. Each one, including 2 native Italians, raved about the entire experience. Best pizza in the State. Pizza was awesome. Service seemed slow and understaffed. Great Pizza! Great cocktails! You can really taste the freshness of the ingredients! The space is much smaller than they make it appear. They are severely understaffed. They were late with out reservation. They would make no modifications for a person with celiacs, and the food was mediocre at best. Pizza always great. Happy hour drinks were tasty and reasonably priced. We had the lilikoi mimosas and lilikoi margaritas. Service was a little slow because it appeared they weren't well staffed for the crowd - but servers were polite and apologetic about delays. Definitely coming back! It was my wife’s birthday and we heard a lot of good comments about your restaurant. We were not disappointed. The pizza was delicious and the service excellent. We’ll be back and will recommend your place to our friends. Authentic Italian-style pizza. Service is great and food is outstanding! The owner is the only certified Pizza Napoli chef on the island. Always enjoy dining here. The best pizza on the island! Great owner and staff who are always friendly. I had my “Italian” brother-in-law & sister visiting. We had a great night & he (Rocco) was very impressed with how authentic Italian it all was from pizza ‘bread’, the fresh toppings to deserts & drinks! A huge hit! The food was great; meatball sliders & pizzas were delicious although the price for the pizzas seemed a little high for the size. Service was good considering it was busy from the Chinese New Year festivities on the street. Dessert took a while to come out as a result of this but we had front seats to the lion dancing & fireworks outside which was AWESOME!! Great experience and great food. Had read good things about this eatery and we had passed it a couple of times when it was brimming with people, so we decided to try it. It is a pizza joint, but not just any pizza joint. Out waiter said they had been open for about two years now. Although small, the menu was interesting with it's different kinds of pizza. Since we had gone while Happy Hour was in session, hubby ordered two mini (8" sized) pizzas: a pepperoni pizza and a fungi pizza. He was happy with the mushroom pizza but a bit disappointed with the pepperoni one. He said that instead of true pepperoni, salami was used and he preferred pepperoni because it was crunchier. I enjoyed my Mamma Mia pizza. The Queen's Margarita that I ordered for the Happy Hour price of $5 was exactly that; weak. So I ordered the Brick Fire Mule, which was strong enough to give me a buzz, and satisfying for the $11 price. Brick Fire Tavern pizzas are the thin and chewy type of pizza, not crunchy. The Nutella Calzone was delightful if you like bananas fosters and that type of dessert. We will likely to be going back, and the next time, I will try their beers. I love the shrimp truck pizza! The garlic cheese break is really good too. It gets crowded at lunch so go early, but that's just because people know that it's so good! 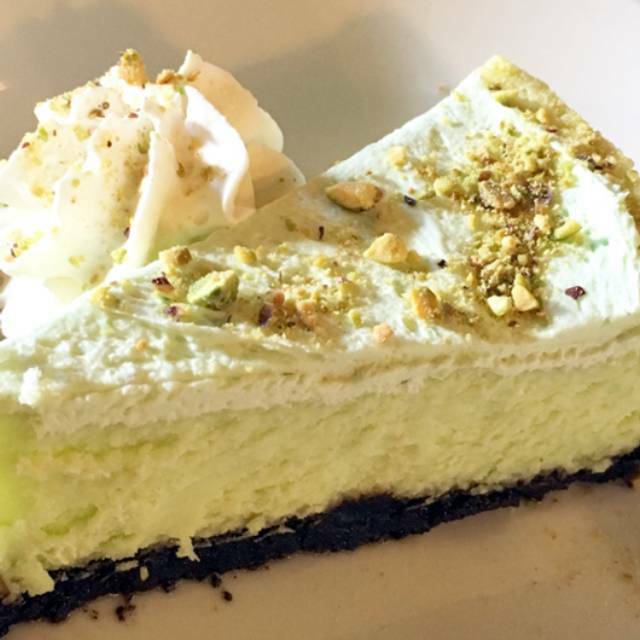 The food was fine and the service good (our waiter was attentive and prompt). The toppings on the pizza were good. However, we are quite fond of italian pizza, having spent much time in Italy, but the crust on our pizzas (we ordered 3 of them) was soggy and the pizza was delivered only warm, not hot. So, not sure if the crust was soggy because the pizzas sat for a bit, or because of too much cheese. I admit, we are very particular about our pizzas! So, I was a disappointed as I had great expectations given their special oven. I would only recommend this place to someone who didn't have the same expectations as we do for a crispy, thin crust pizza. We went there for lunch for my husband’s birthday. The service was excellent. Our waitress was very attentive and super nice. We’ve gone italy numerous times and really miss the pizza flavors, but this pizza was almost as good. The dough tasted great! I would’ve ordered it plain with just olive oil and parmiggiano shavings. I ordered the prosciutto and arugula with extra yolk, it was perfect balance of flavors and freshness. The pizza didn’t feel heavy at all. My husband ordered the mamma Mia and he thought it was equally amazing. Many complain that the middle of the pizza is soggy so the slice doesn’t hold up, but honestly that’s the Napolitana style pizza. Traditionally you fold it in and in half. Romana pizza tends to be the stiffer type. Anyway...I will go back and highly recommended it! Awesome as always. The homemade mushroom soup was to die for! I love the pizza here. My favorite pizza on the island. Food was delicious and proportioned just right. There was only about 15 people there as we went earlier in the evening before a comedy show. Definitely try the house Limoncello. Great pizza downtown on Hotel Street. Easy parking. Service was amazing. Food was unique and very tasty. I have already recommended to several friends. I loved the location of the restuarant being in a historical part of town and the fact that we could either dine in or out side in the courtyard. Loved the food! Great service, genuine Napoli pizza!. This is a favorite. But Very disappointed. Brought my family from out of town. We got the pizza as soon as you pick a slice up everything falls off. Crust was way to thin. Everything else is great. Past visits pizza was better. Really terrific! Great cocktails and pizza and salad! As always is the case, Brick Fire Tavern had great food, great service, great feel! 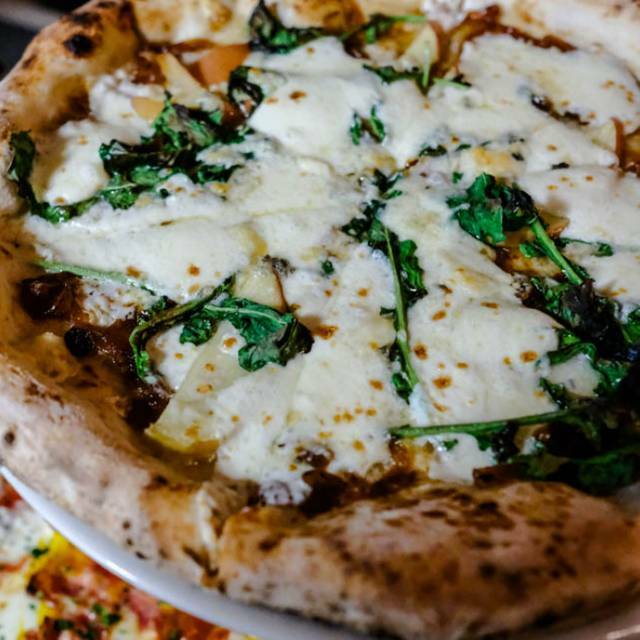 We are in love with their pizzas, yes, because they are the absolute best in Honolulu. The standout however is their homemade mushroom soup. Doesn't sound like much....amazingly delicious!!! Great staff and great food! Great food and outstanding service. 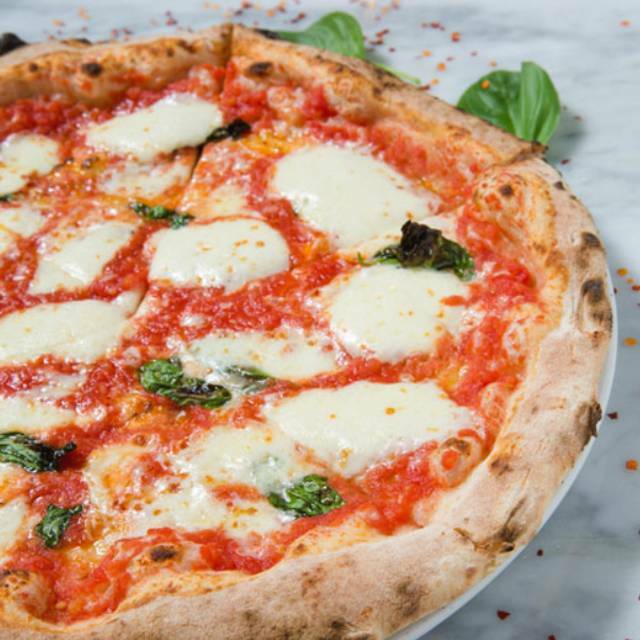 Amazing Neopolitan pizza that stands strongly among the best places in San Francisco, San Diego, Chicago etc. There is no room for strollers and they don't have high chairs or boosters for kids, so bring your own booster if you need it! 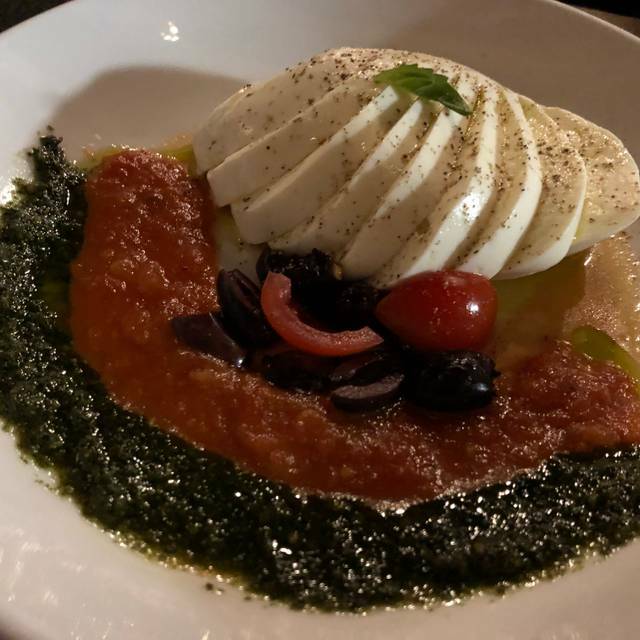 It is worth the trip to this gritty urban area of Oahu for the homemade mozzarella alone. 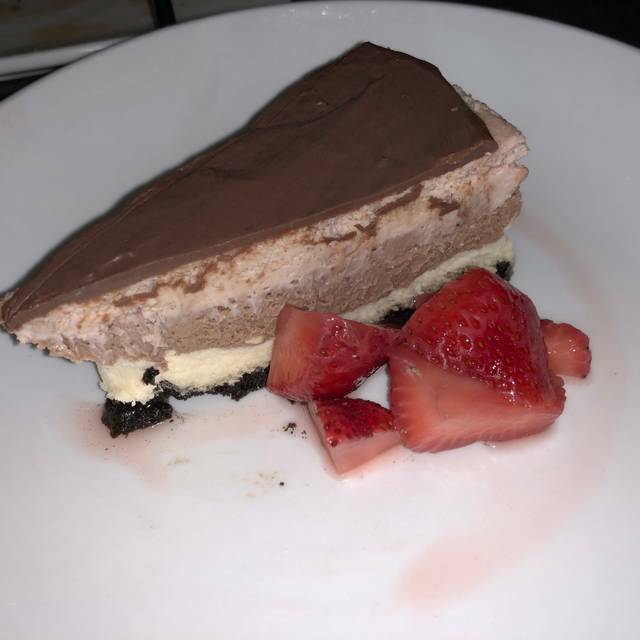 This was my first time at Brickfire Tavern and I loved it. The ambiance was great and our server, Loaf, was the best. So attentive and made us feel special. The food was fresh, delicious and creatively served. I have told friends and will definitely be back.